The hood started off almost completely WHITE, the before pictures (left) are after one light spray of TRG The One Black Vinyl Dye. The after pictures (right) are the completed job. 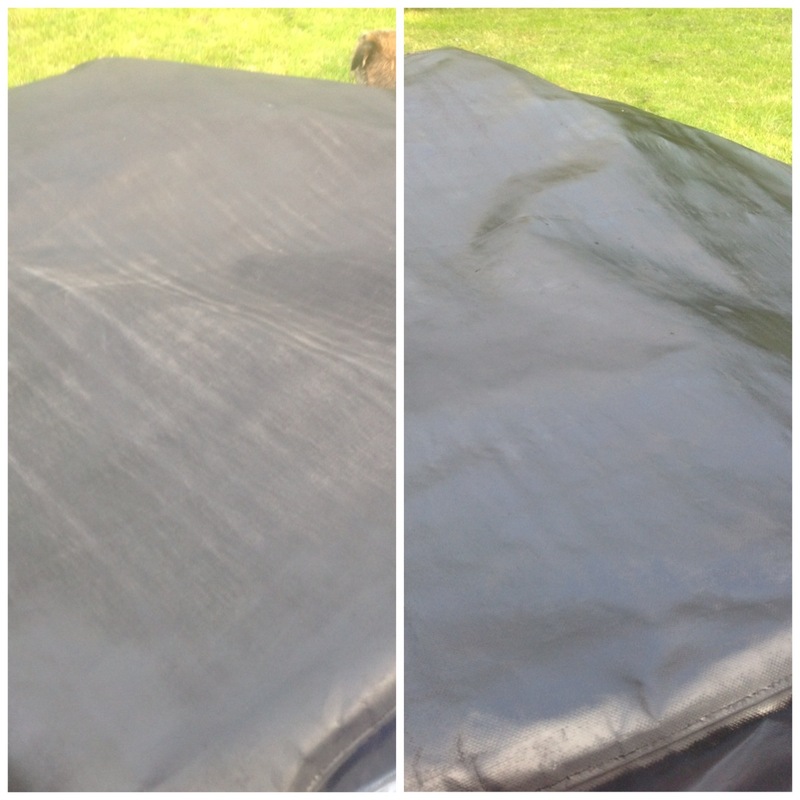 “This had suffered from UV damage and chaffing on the frame, resulting in discolouration of the vinyl material which is commonly used for boat covers. Three light passes with your vinyl dye has restored the colour on the canal boat hood (removing any evidence of chaffing marks on the interior). You can still see the weave of the fabric, it looks fresh and new, obviously it won't make any frayed bits 'disappear', the texture of the material and stitching are visible as before - great product! I have used 2 & 1/2 400ml cans to get to this stage, will probably use up the rest once fully dry on any patches on the roof which was worse due to the UV damage over years: It has given the boat covers a new lease of life and is far less costly than a new hood would be! I will definitely use it again and recommend it to my clients that want to DIY repairs to their own boats."